Everyone is currently playing with Google Data Studio. However, there is also an alternative reporting combination which no one is using: Supermetrics for Google Sheets & PowerBI from Microsoft. So let’s have a look on this solution. In this article, I will cover some advantages and disadvantages of this combination and I will walk you through setup process of sample report. Important disclaimer: I am not saying Google Data Studio is bad. It’s probably good enough for 99% users. 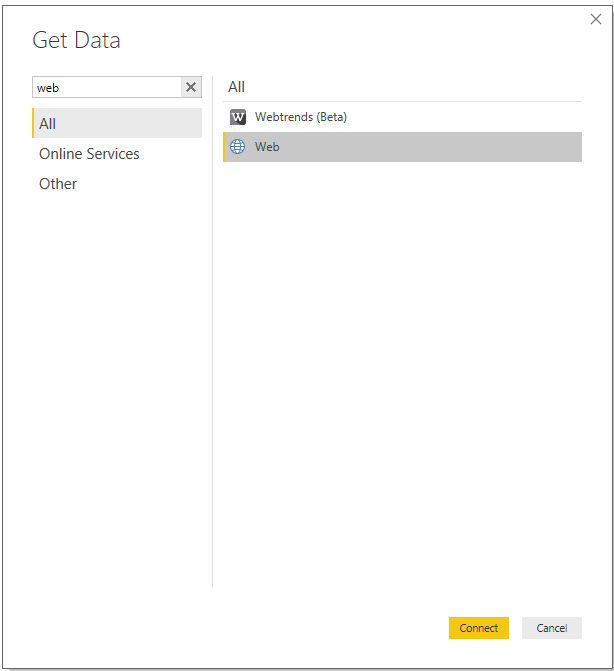 The aim of this article is to show some extras which you cannot do in Data Studio while you can do them PowerBI. Let’s start with pros & cons when doing reporting with Supermetrics for Google Sheets & PowerBI combo. 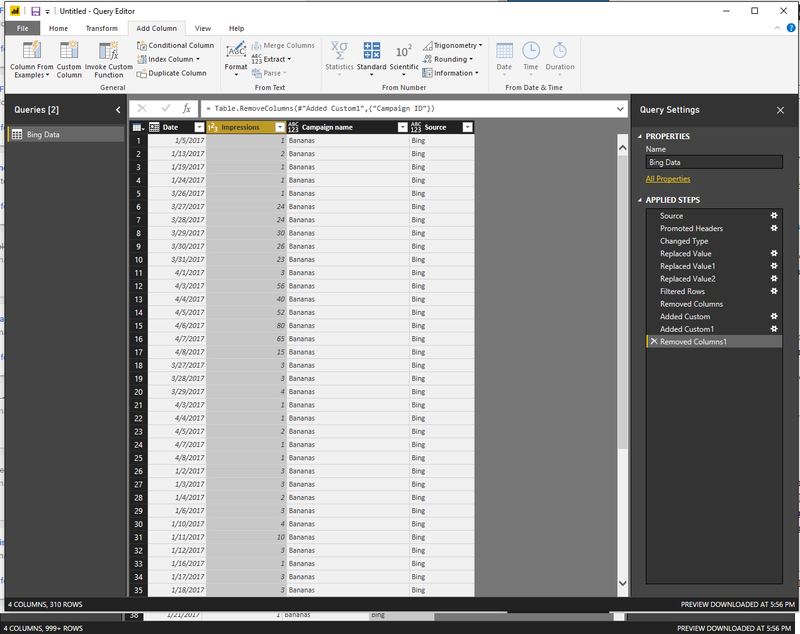 PowerBI gives Query Editor which is basically Power Query which you can find in Excel. The differences are only minor. Power Query is super cool because it allows you do data transformations (groupings, filters, custom columns, joins, appends etc.) before you visualize the data. Google Data Studio expects clean data before you start working with then. PowerBI will take anything and allow you to clean your dataset first. You can use DAX within PowerBI. DAX in the “next level” of advanced Excel formulas. You can create metrics such as “Clicks in the Last 30 Days”, “Clicks in the Last 60 Days”. You cannot do this in Data Studio. 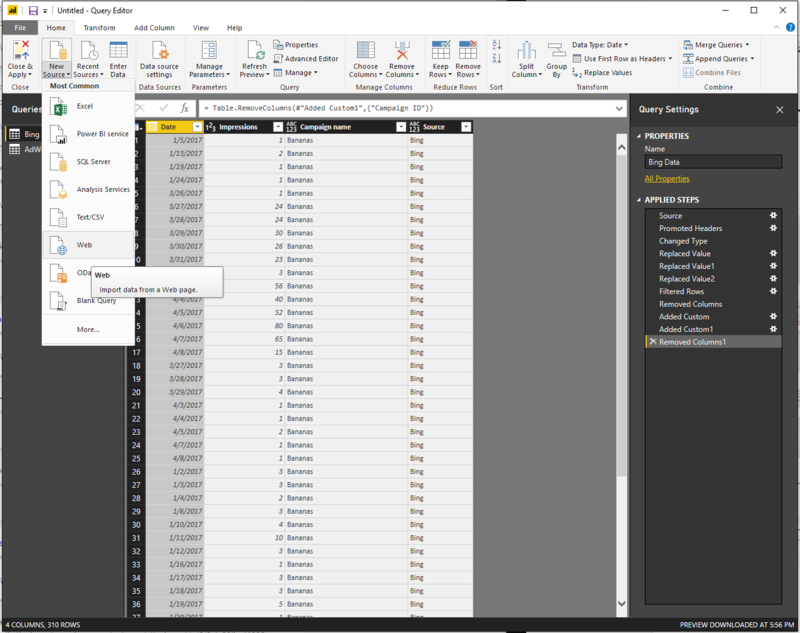 PowerBI allows you to select any element on your page and filter all visuals on the page according to your selection. PowerBI is not “totally free” unlike Google Data Studio. You basically need to pay $9.99 to get “usable version” of PowerBI which allows you to update your reports running on online PowerBI servers. There is also a “totally free” version of PowerBI for desktop, but you cannot schedule automatic updates. You need to use Google Sheets as your imaginary “data warehouse”. Google Sheets can only carry 2 millions cells within 1 file. You may hit the limit at some point if your reports are too big. There is no PowerBI for Desktop available for Mac users. I will now demonstrate how you can make use of Supermetrics for Google Sheets & PowerBI combo. I will be working sampled & annonymized data. To keep it simple, I will just by reporting Impressions from 2 data sources. The goal will be simple. We will create a day-by-day report combining campaign level data from Bing Ads and Google AdWords. The assumption here is that you have already paid for Supermetrics for Google Sheets license. Open a new Google Sheet file. Then load the Supermetrics window via “Add-ons” menu. Select your Data source, accounts, time range, metrics, splits and filters. Don’t forget set higher number of “rows to fetch” than what the reality will be, otherwise you’ll be missing some rows. Ideally, remove all the empty columns – the empty cells would otherwise count towards your 2 million cell quota. 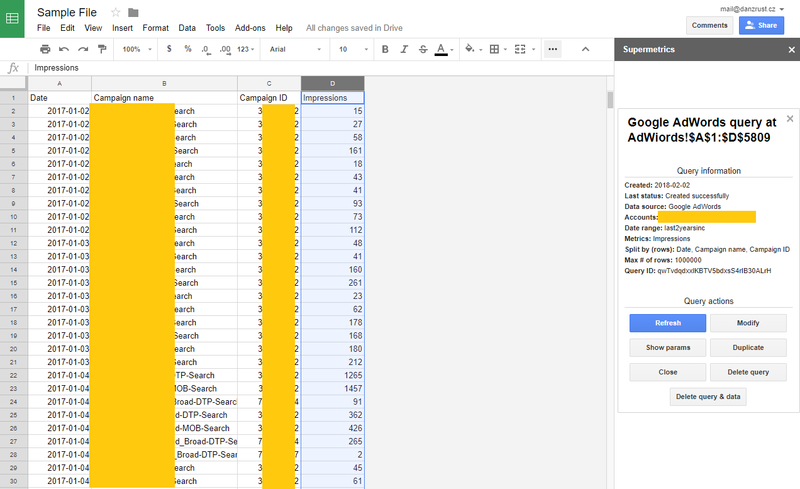 Repeat the same procedure with Google AdWords data. Create a new sheet. 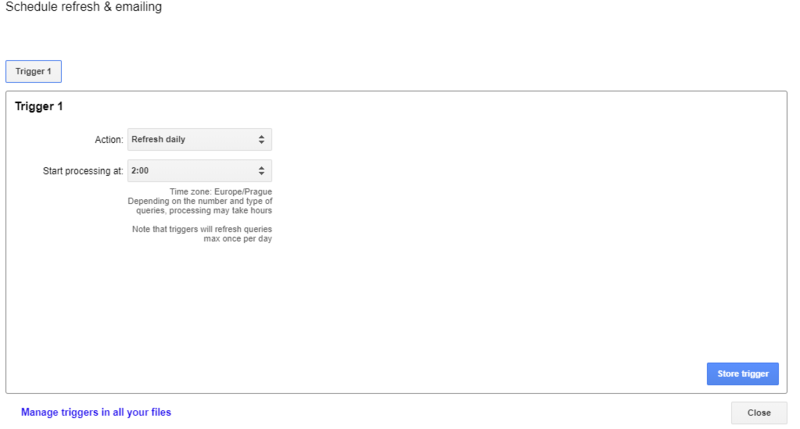 Open Supermetrics, setup your AdWords query. Use same date range, ideally same metrics, same “split by”. Create your data model (e.g. 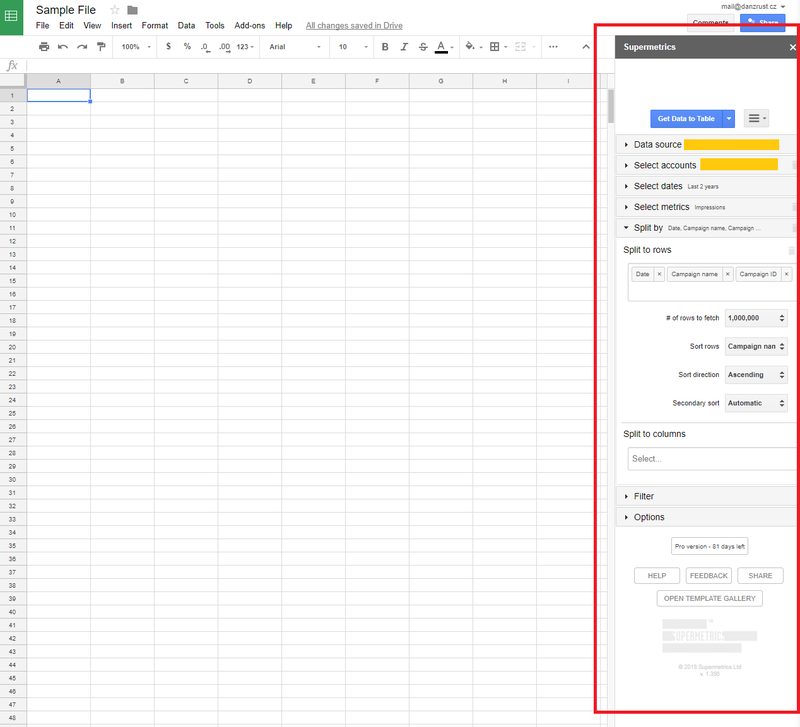 by connecting the data from PPC engines to a custom calendar which has data attributes such Week Of, Month, Year, Quarter etc.). As you can see, there are 3 important pieces in the puzzle when it comes to PowerBI world. 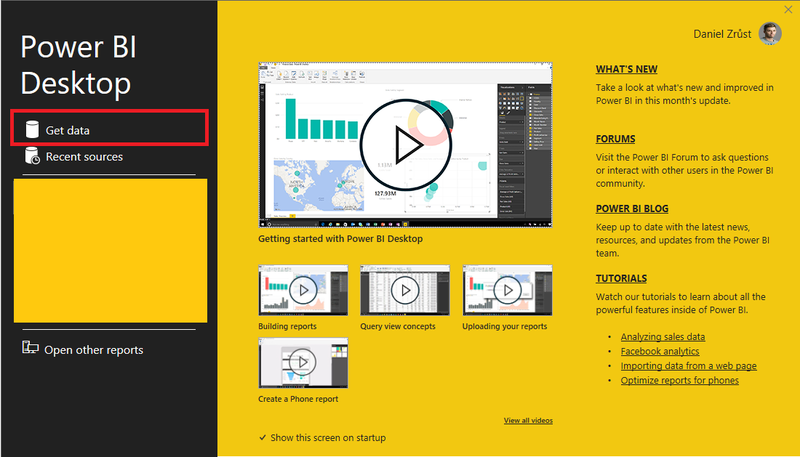 There is PowerBI for Desktop which is a standalone application designed to help you go through the development process of your dashboards. Within this application, there is so called “Query Editor” which is basically the same set of features as in Power Query in standard Excel. And then there is “Power BI online UI” which is mostly for presenting the dashboards and sharing across your organization. In order to publish to PowerBI online UI from your PowerBI for Desktop, you obviously need to create a PowerBI account. Share the file as “Anyone with the link” “Can edit”. Just don’t share the URL with anybody you don’t trust and you will be fine. Locate the source URL from which the file was downloaded. Copy it. Go back to PowerBI and paste the URL into the windows. More details about connecting Google Sheets to PowerBI/Power Query can be found here. Ideally, you add each Google Sheet as new data source. It’s the most reliable option. 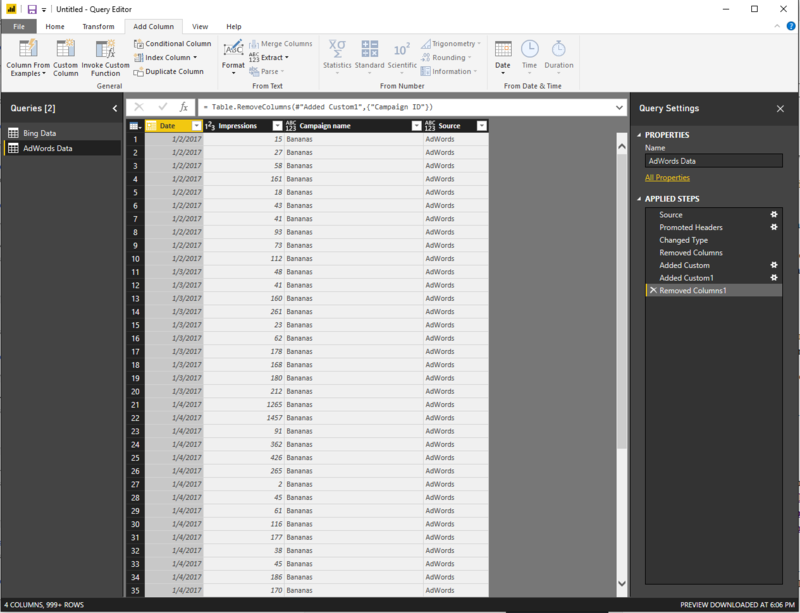 So number of sheets = number of URLs you need = number of data source in Power BI’s Query Editor. I am starting with Bing Data. So now you are in Query Editor which equals to Power Query in Excel. So all articles from this website now apply even to Query Editor in PowerBI. (In the image above, you can already see some “APPLIED STEPS” in the right hand side which I did in order to anonymize the data). The points #1-6 represent the main advantages of using PowerBI: You can cleanup & transform your data before you get to the stage where you design your dashboards. You cannot do this in Google Data Studio which expect your data to be nice & clean. As you can see, for every refreshable data source (I have just 1 data source in my dataset), you need to provide credentials even in the PowerBI online interface. Since my sample Google Sheet doc is shared to “anyone with link”, the “Authentication method” is “Anonymous”. Dataset = source for your Reports. 1 Dataset can be source for multiple Reports. Reports = visualized data from your Dataset. 1 Report can use only 1 Dataset as source. We can see that all the visuals are interconnected. If you select a category in one visual, all other visuals on the same page will get “filtered’ according to your selected category. When I select “Bing” in the chart, even the table starts showing only Bing numbers. 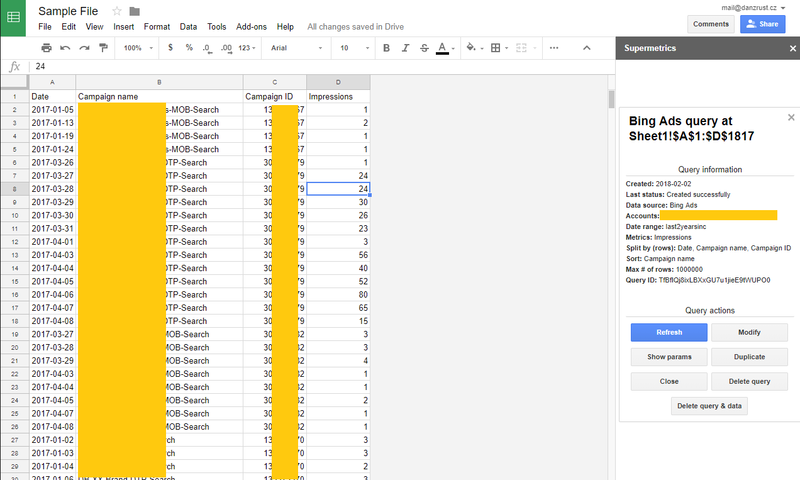 Using Supermetrics for Google Sheets & PowerBI is quite uncommon for PPC reporting purposes. The setup is slightly more complicated. At the same time, you need to pay for PowerBI license and for Supermetrics license. However, for all this extra complexity & cost, you get extremely flexible reporting solution which allows you to cleanup & transform your data according to your need before you start using the data for visualization. This is something that free & easier to use Google Data Studio cannot offer. So why don’t you try Supermetrics for Google Sheets yourself?